My friends had decided to get married in South Africa in August 2013! Prior to my trip, my mother came across Pack for a Purpose in a magazine article. We saw this as a wonderful opportunity to give to those in need. I spread the word to the wedding guests and soon everyone was packing school supplies and soccer balls in their safari luggage. I managed to pack pencils, pens, markers, erasers, glue, sharpeners, dry erase markers, crayons, colored pencils and construction paper in my luggage to Africa! 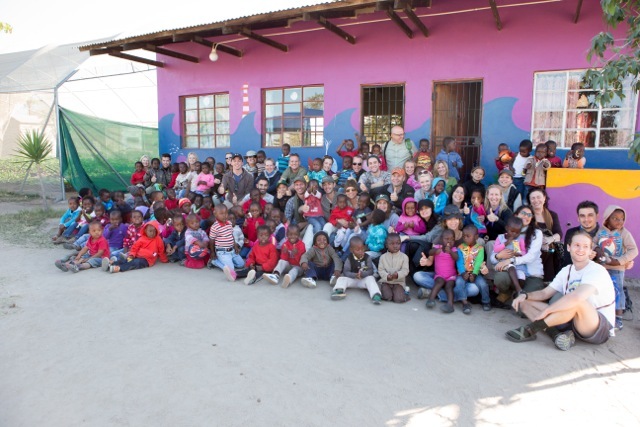 Upon arriving at the Lion Sands Game Reserve in Kruger National Park, we were surprised with the opportunity to visit the Henna Preschool (located in the Mpumalanga Province) and personally deliver our donated school supplies! That’s when we met Thembi, a member of the community, front of the house manager at Lion Sands and visionary behind improving the education and future of the delightful children of the Henna Preschool! 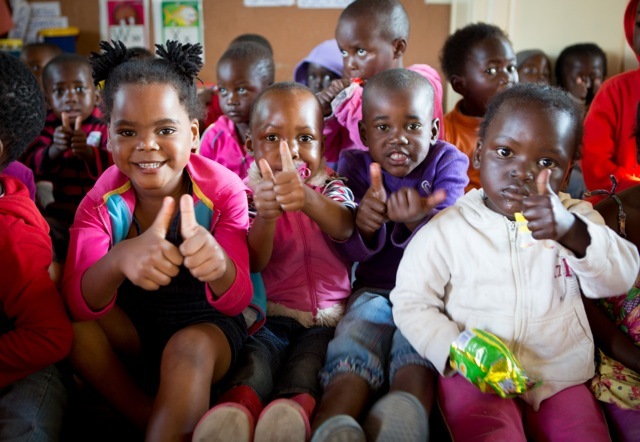 From generous donations (like those made possible through Pack for a Purpose), Thembi has been able to take school enrollment from about 20 children to 195! It was a heartwarming experience spending time with the teachers and students as they sang songs and played with their new soccer balls. I am so grateful for the opportunity to change the lives and education of children halfway around the world. I look forward to packing more school supplies for my next trip to Africa.